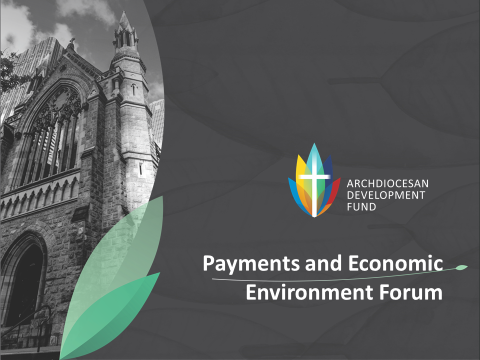 The ADF recently held our first Payments and Economic Environment Forum with a number of our education customers. The forum was well attended with over 30 attendees from a number of different colleges within the Archdiocese as well as representatives from Brisbane Catholic Education and Edmund Rice Education Australia. The Forum was broken into two sessions, ADF in the morning and CBA presentation after lunch. The CBA session was delivered by one of the CBA’s Senior Economists, Ryan Felsman. He spoke about the impacts global events and political climates are having on the Australian economy as well as the outlook for Australia for the next 12 months. The ADF session was focused on the attendees, how they are supported by the ADF from both a product and service perspective and areas where additional focus or enhancements are required. This session was interactive and the feedback that the group shared has allowed the ADF to gain an insight into areas that are working well for our customers, those that should be improved and areas where additional focus and development are required. A range of areas were identified as needing improvement and we will be working with the CBA and other partners to determine what can be achieved to enhance and improve their current offerings. The ADF will provide regular feedback on progress as well as other initiatives that we continue to work on.